We’d love your help. Let us know what’s wrong with this preview of A Shadow Bright and Burning by Jessica Cluess. We’d love your help. Let us know what’s wrong with this preview of Shadow Magic by Patricia C. Wrede. We’d love your help. Let us know what’s wrong with this preview of Chasing Embers by James Bennett. We’d love your help. Let us know what’s wrong with this preview of A Head Full of Ghosts by Paul Tremblay. We’d love your help. Let us know what’s wrong with this preview of The Last Days of Magic by Mark Tompkins. We’d love your help. Let us know what’s wrong with this preview of Imaginary Things by Andrea Lochen. Come share your love of Young Adult Fantasy books, TV shows, and movies with other like-minded readers. 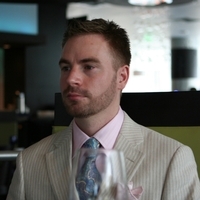 This group is hosted by Thaddeus Nowak. Looking for more content to share on your blog? Sign up for our book tour site! :) We feature mostly Romance (non-erotica), New Adult, Young Adult.